Stimulating pieces on a variety of topics spanning the Intellectual Property and Tech Law domain. In Faulkner Literary Rights, LLC v. Sony Pictures Classics Inc., the estate of William Faulkner sued Sony Pictures over use of a single line from Faulkner’s book, Requiem for a Nun, even though the character attributed the line to Faulkner in the scene of the film. The film in question was Midnight in Paris which was written and directed by Woody Allen. Chief Judge Michael P. Mills of the US District Court for the Northern District of Mississippi granted Sony’s motion to dismiss the suit for lack of a reasonable cause of action (roughly equivalent to a motion to strike in Canada). At the heart of this case was the following sentence from Faulkner’s novel: “The past is never dead. It’s not even passed”. In Allen’s film, the protagonist Gil Pender says: “The past is not dead. Actually, it’s not even past. You know who said that? Faulkner, and he was right. I met him too. I ran into him at a dinner party.” As can be seen from this quote, the character actually attributes the slightly modified line to Faulkner in the movie itself. This was apparently insufficient for the Faulkner Estate who decided to sue Sony for copyright infringement and for some form of trademark/appropriation claim based loosely on the Lanham Act (the United States federal statute dealing with trade-marks and unfair competition). Among the issues the Court was tasked with deciding was the question of de minimiscopying. The Latin maxim de minimis non curat lex stands for the proposition that the law does not concern itself with the very minor or insignificant. This doctrine has been accepted as applicable in the copyright context in both the Unites States and Canada. Given the Fifth Circuits thin case law on the matter of de minimis copying, the Court chose to examine the question under the ambit of the fair use analysis- which Sony put forward as an affirmative defense to the claim. The third factor in the fair use analysis is: “the amount and substantiality of the portion used in relation to the copyrighted work as a whole”. 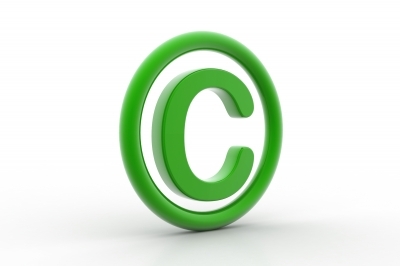 This factor mirrors the “substantiality test” used by several US jurisdictions to determine if there was a copyright infringement in the first place. Originating in the 2nd Circuit, the substantiality test was first applied in Marks v. Leo Feist, Inc. In that case, the Court wrote that: “To constitute an infringement of the [Plaintiff’s] composition, it would be necessary to find a substantial copying of a substantial and material part of it.” This test derives from the equitable doctrine of substantiality. Historically, a plaintiff would not succeed in their claim at equity if the injury suffered was not deemed substantial enough for the law to take an interest. The Plaintiff argued that since the test for substantial similarity is a qualitative and not quantitative analysis, the two sentence quote is enough to constitute copyright infringement in theory. They further claimed that the quote in question described “the essence of Requiem”. The Court did not find this argument persuasive. Even if the quote encapsulated the theme of the book, it is the expression- i.e. the text itself- that is protected by copyright law. The argument failed because of the idea-expression dichotomy at the heart of copyright law. Expressions are protectable; ideas are not. The Plaintiff’s claim based on the Lanham Act was sketchy at best, referring to state tort law by analogy to make its point. The Court rejected this argument out of hand, writing that the Plaintiff was unsuccessful in clearly laying out the law upon which its complaint relied. In a nutshell, the Plaintiff argued that use of the line in the movie would cause confusion as to its origin. They argued further that use of the line without permission amounted to a misappropriation of Faulkner’s identity. Though the Court declined to deal fully with this argument because of the way it was brought, Chief Judge Mills noted in passing that Sony’s 1st amendment right must trump the Plaintiff’s claim under the Lanham Act. All in all this decision was unsurprising. While the Plaintiff was correct in asserting that the relevant measure for determining what constitutes a substantial part of a copyright protected work is quality and not quantity, its arguments were patently absurd in the context. To purport that nine words out of a 240 page novel constitutes the qualitative heart of the work is a serious stretch. Even if they were able to make this argument convincingly, this is still a cut and dried instance of fair dealing. Woody Allen used the line in a novel and transformative way that in no way affects the commercial value of the source work. (CC) James Plotkin. Some rights reserved. Contact author for details. Awesome Inc. theme. Powered by Blogger.